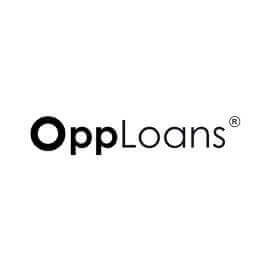 OppLoans is an online lending company that offers budget-friendly personal loans, advising their potential customers to stay clear of payday loans by offering them a much safer and more affordable solution. The company was launched in 2009 as a trade name of Opportunity Financial with headquarters in Chicago, Illinois and it keeps its competitive edge by offering much better terms than payday lenders, negating its disadvantages when compared to prime lenders. They also never pull on customers’ credit rating with Equifax, Experian, and TransUnion. Therefore, checking your credit score and eventually applying for a loan will never result in a soft or hard pull on your credit rating with OppLoans. OppLoans offers lending services to individuals with poor to fair credit ratings, so their rates will be higher than those of prime lenders, but keep in mind that bad credit score always comes with higher rates. To learn everything about their service, business model, rates, and other relevant factors, keep on reading our in-depth OppLoans review. OppLoans is an online lending company, so it’ll accept only applications made online. Once you apply, you’ll know whether you qualify within minutes. If you’re deemed eligible, you’ll be sent an instant loan agreement specifying the terms and rates of the loan. If you agree to the terms and submit your loan agreement, the funds will be deposited to your account within the next work day. 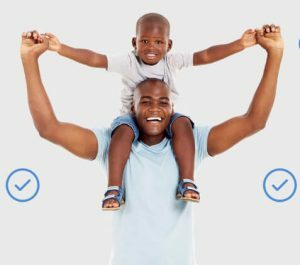 As of December 2016, OppLoans operates in California, Alabama, Delaware, Idaho, Georgia, Illinois, Mississippi, New Mexico, Missouri, Ohio, Tennessee, South Carolina, Texas, Utah, Virginia, and Wisconsin. In certain states, OppLoans also offers lines of credit (Virginia, Maryland, Tennessee, and Kansas). A line of credit works the same way as a credit card with minimum payments of 4% of the outstanding balance. OppLoans also handles loans originated and funded by FinWise Bank in Alaska, Arizona, District of Columbia, Florida, Hawaii, Indiana, Kentucky, Louisiana, Maine, Michigan, Minnesota, Montana, Nebraska, North Dakota, Oklahoma, Oregon, Rhode Island, South Dakota, Washington, and Wyoming. As already stated in the previous sections of our OppLoans review, applying for a loan will not affect your credit score. 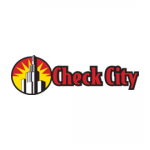 What you might not know is that every credit check lowers your credit score a bit. That’s why OppLoans performs a so-called “soft check.” This means that they’ll check a number of factors, including your monthly income, your current employment and 90-day history, and many others. What’s important is that they will not check your credit score directly, leaving it completely intact. OppLoans offers loan amounts between $1,000 and $10,000. The application process with OppLoans is very simple and straightforward. You will find out whether you’re eligible for a loan in just one business day, which is especially useful if you need money asap. Loan details – Loan amount and purpose, date of birth, social security number, routing number, account number, bank name, account type, and account length. Repayment terms with OppLoans depend on the type of loan you apply for, the loan amount, and your location. Generally, their terms go from 6 to 36 months. Be sure to check specific repayment terms for your location, though. For example, in California, the terms go from 9 to 36 months, in Utah, from 6 to 24 months. A typical loan with OppLoans is for $1,000, which comes with 17 bi-weekly payments. OppLoans rates can vary widely depending on the loan amount, repayment term, and the borrower’s credit profile. Rates usually range from 36% to 199% with repayment terms between 6 and 36 months. Like with repayment terms, you should check the specific rates for your state here as well. Following our previous examples, in California, the rates go from 36% to 160%. In Utah, they range from 125% to 199%. We would say that your location is one of the most important factors when it comes to applying for a loan with OppLoans. There’s also an administrative fee you’ll need to consider, which is not included in the APR. It also varies by state. For example, in California, it’s $75, in Virginia, $50, and $2 off the credit limit in Kansas. As seen in our OppLoans review, this company doesn’t aim to be the prime lender on the market but offers its users a better alternative to payday loans with astronomic rates and fees. It’s designed to cater to individuals with bad credit score without lowering it even further after the application. The procedure is very simple and you’ll know whether you’re approved within one business day, which comes really handy when you’re strapped for cash and need immediate funding to stay afloat. The quickest 5k I’ve ever got from a lending company! I repaid my loan 7 months before the agreed term and had to pay no penalties or additional fees. Good company but their terms in my state are much shorter than anyplace else. My rating is poor as it is so it really helped that this loan didn’t make it plummet even further.